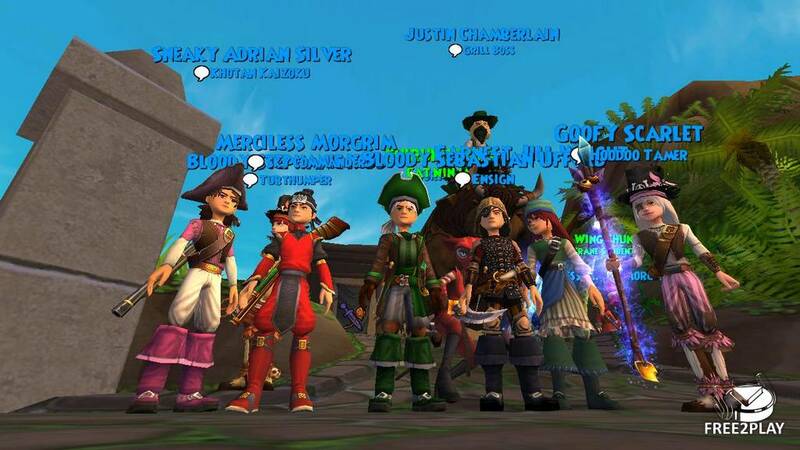 Pirate101 is a MMO (Massive Multiplayer Online) kid safe game where players of all ages can join together online to quest and make new friends. It is free to play! which means you start your fun adventure with no charge and play for free forever. This game is always being updated with new content. 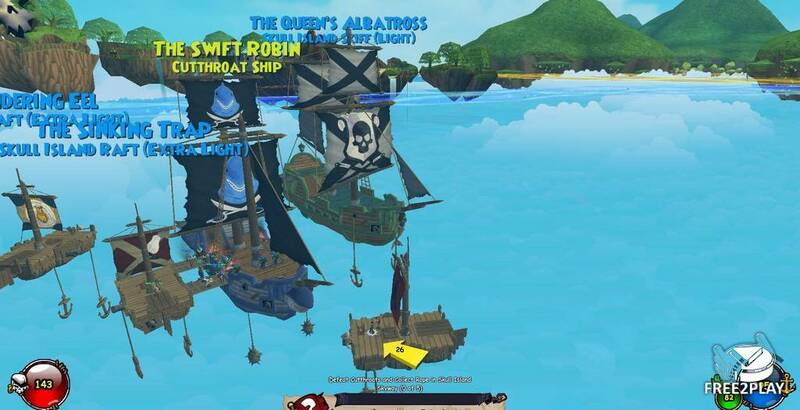 Pirate games players enjoy hundreds of hours of gameplay in amazing game worlds ranging from wild west deserts, tropical treasure islands, and radiant cherry blossom fields. 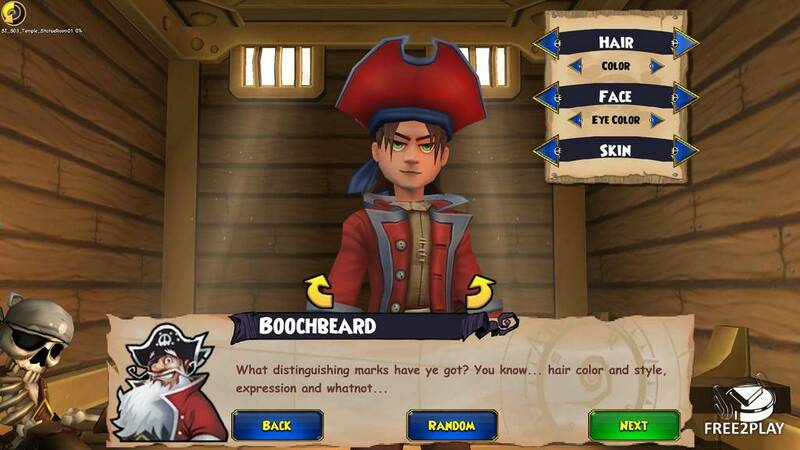 Create your own custom Pirate character and start playing today for free! 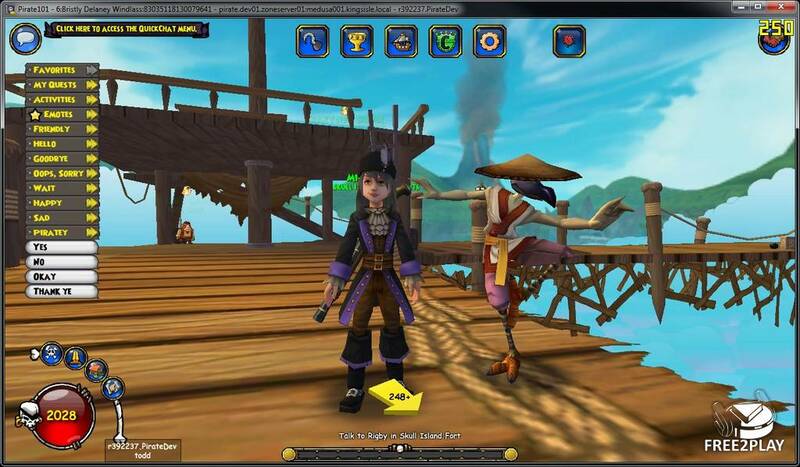 With many online safety steps in place, Pirate101 creates an environment of fun gameplay and adventure that the whole family can enjoy together. Win items for your custom Pirate ship in the mini games, and fight tough boss battles to collect rare gear like Pirate swords and epic outfits. Fend off enemies with your Pirate ships' cannons or jump on board enemy ships and defeat bad guys with innovative board game style combat. When you're not out questing on the open Skyway, try your hand at some of the mini games. You can win cool items for your Pirate or Ship, and have a lot of fun with these mini Pirate games. The mini games are located on the Skull Island fort by the carnival wagon as well as on other worlds and include challenges like Pirate's Pub, Coin Drop, Powder Keg, Rat Attack, Rogue's Range and Windjammer.